AAW HIT THE BIG TIME! ROB VAN DAM, KATIE FORBES & ALEXIS LEE COMPETING IN AUSTRALIA ON SATURDAY AUGUST 26 @ GATE ONE, CLAREMONT SHOWGROUNDS. Effectively immediately Rockingham-based wrestling organisation AAW will be moving operations to GATE ONE THEATRE at Claremont Showgrounds. The move to GATE ONE is the first official action of AAW’s MYSTERIOUS NEW INVESTOR and means a huge upgrade in production values across the board, as AAW utilise the world-class sound and lighting system to deliver bigger and better live shows. 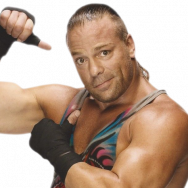 ALL ACTION WRESTLING will christen the new venue at their next official event, THE PERTH CLASSIC on SATURDAY AUGUST 26 featuring former WWE and ECW WORLD CHAMPION, ROB VAN DAM! The Whole F’N Show makes his AAW debut, competing in the PERTH CLASSIC tournament finals along with fellow-finalists Andrew ‘The Shark’ Carter, James Grace & Marco Garcia. Who will take home the Perth Classic Cup? Find out on the night! Earlier this year, AAW promised it would deliver more unforgettable women’s wrestling and that promised has been fulfilled. W.O.W & SHINE wrestling superstar, KATIE FORBES (USA), will step into the ring against the First Lady of Singaporean Wrestling, ALEXIS LEE (SG). We will soon announce the rest of the card, so stay tuned for some huge announcements, including MANIAC vs KILLAH for the AAW Championship, who will face the Perth K-9s for Tag-Team Championship and Felix Young for The No Limits Championship. However, as AAW enters this exciting new era, rumours and concerns have begun to plague the locker room. Who exactly is behind this take-over and what are their intentions? They say they will take AAW to all new heights…but at what cost? – EYE LEVEL WITH THE ACTION IN THE RING!